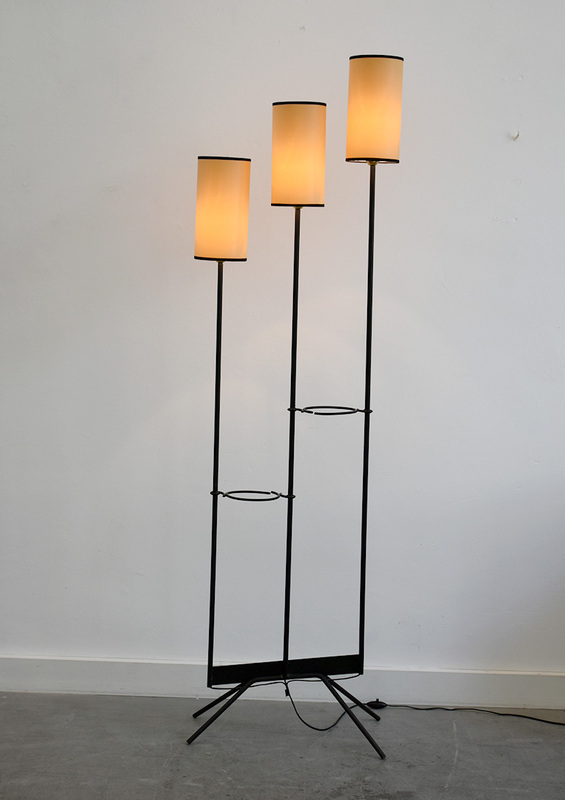 Black lacquered metal floor lamp with paper shades. Bayonet socket. 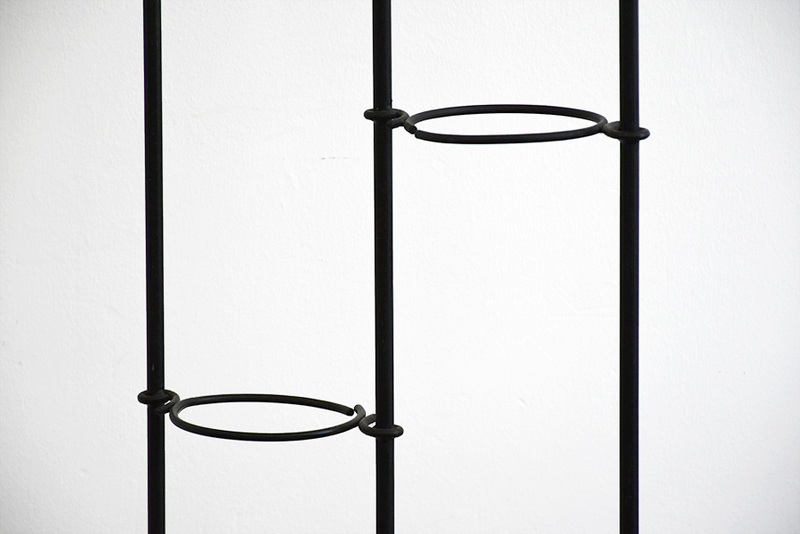 Size H: 147 cm, L: 40 cm, shades ca. ø13 cm. 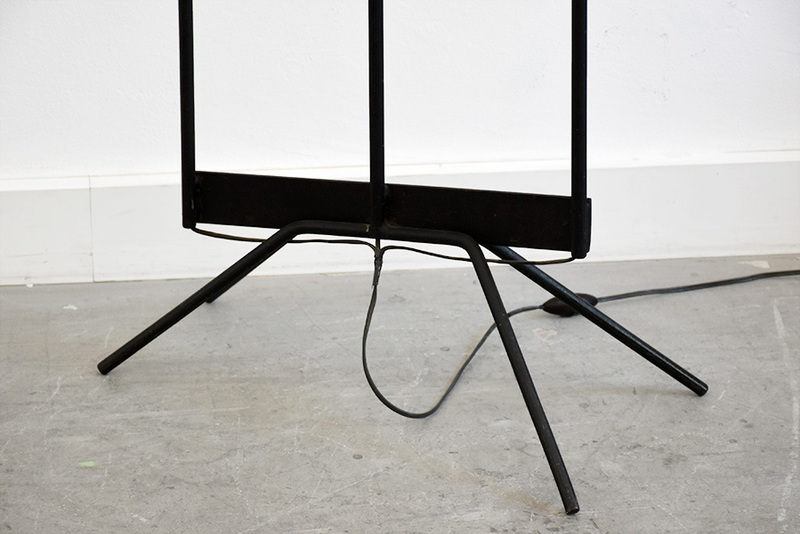 Floor lamp 3 arms, in the manner of Jean Royère, ca. 1950. 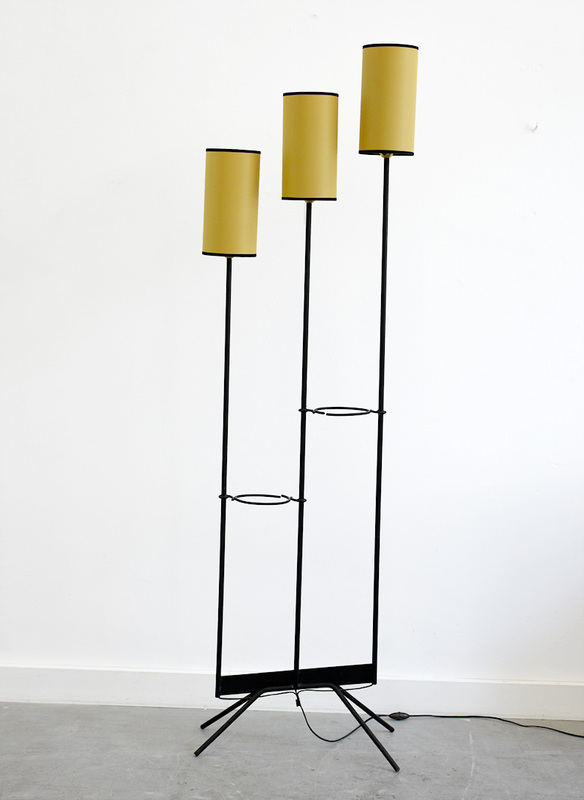 The beautiful 3 arms floor lamp reminds Jean Royère or Jacques Admet style. 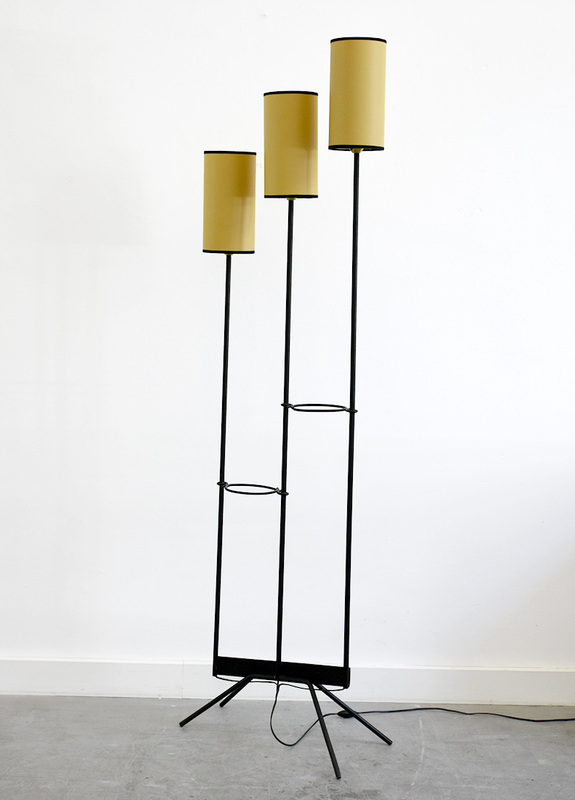 The elegant design is French from the 50’s. 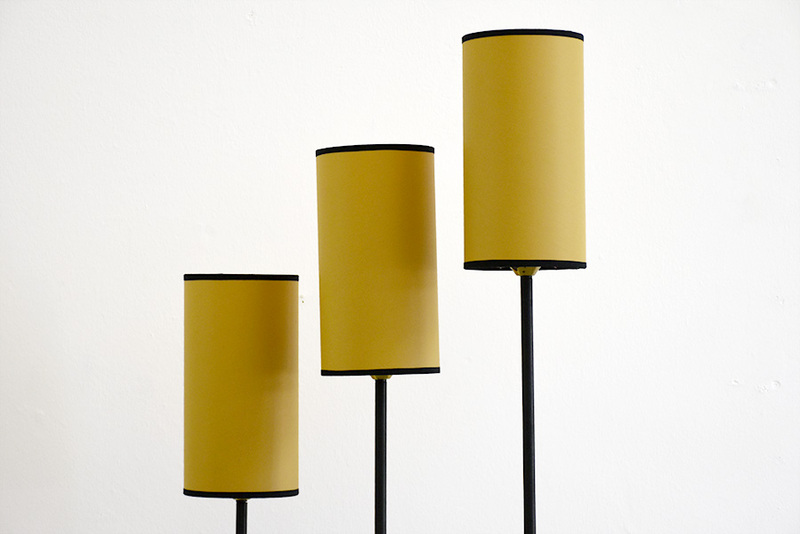 The large floor lamp is made of black enameled metal, the paper shade are new. Bayonet socket.